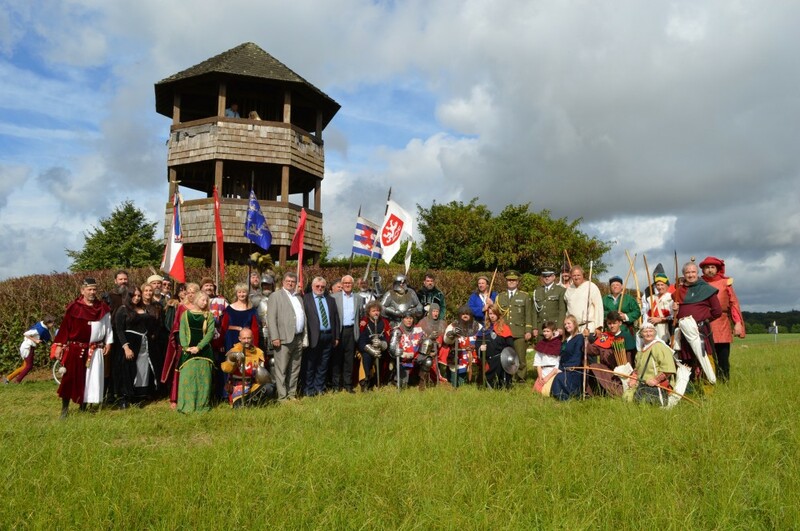 Llantrisant Ward Member Cllr Allan Matheson and his wife Helen, along with the Clerk Mrs Alison Jenkins, her husband Steve and daughter Kim were proud to represent Llantrisant at the 670th Anniversary commemorations of the Battle of Crecy. 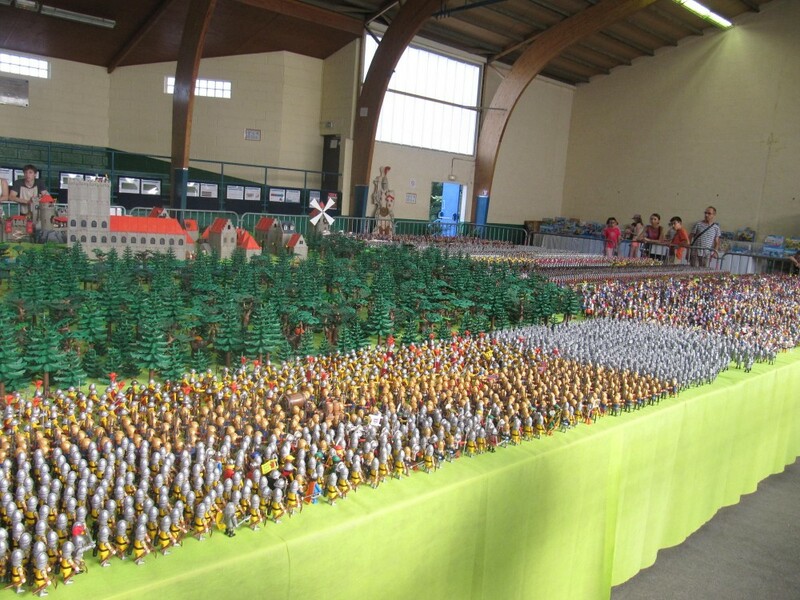 Although the medieval fair planned for the weekend had had to be cancelled, due to the cost of increased security measures in place in France at the moment, a moving tribute still took place. 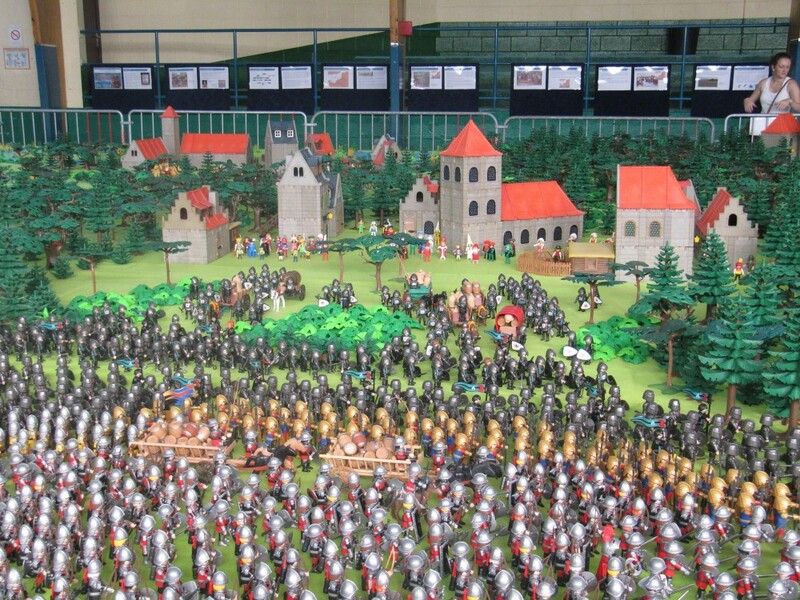 A stunning Playmobil exhibition filled the school gymnasium depicting the battle and the surrounding countryside. 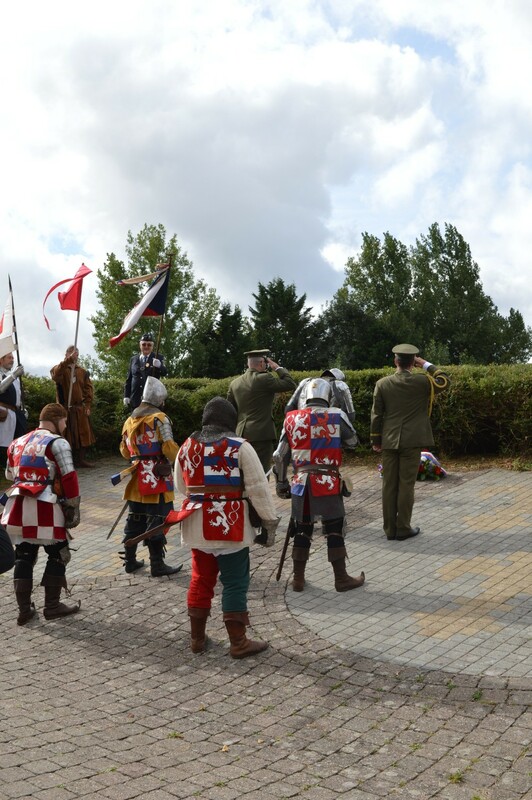 Following a service on the Sunday morning, re-enactment groups from the Czech Republic and England paraded with the Mayor Gherard Lheraux, representatives from the Czech Embassy, the local Senator and Cllr Matheson to the memorial Jean de Luxembourg in the town square. 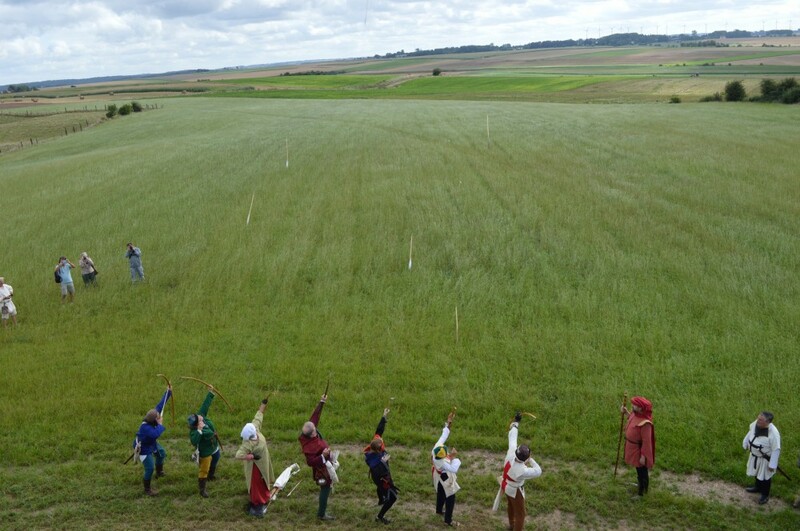 Wreaths were laid before the group marched on to the Battle Field, where more wreaths were laid before a volley of arrows was fired as a moving tribute to those who died. 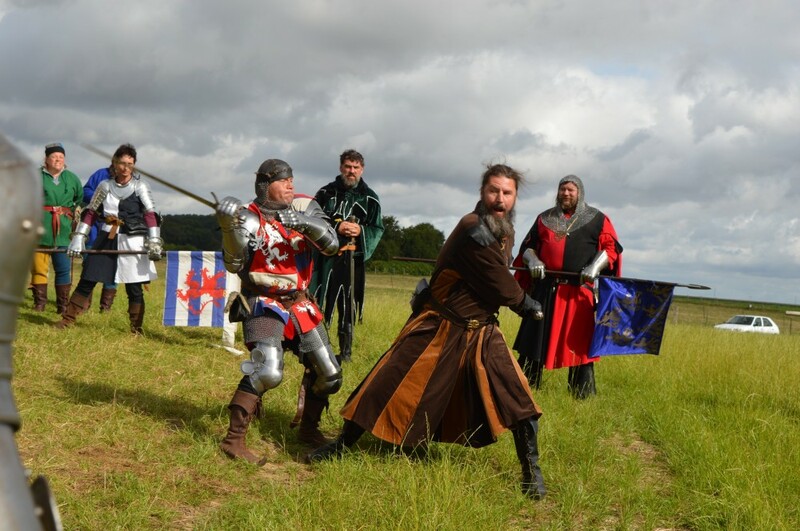 A re-enactment by the Czech re-enactment party bought home how violent the sword fighting would have been. 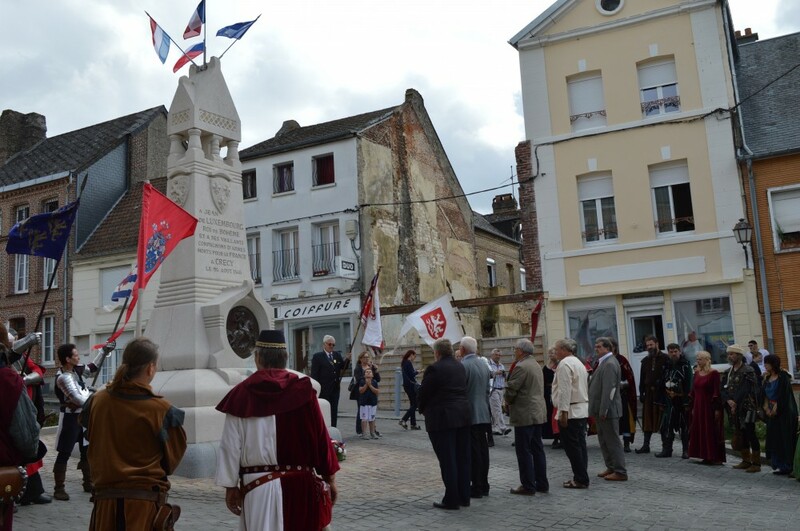 The group then walked down to the school for refreshments and a stunning cake, before a final wreath laying ceremony at the cross which marks the site where Jean de Luxembourg fell. 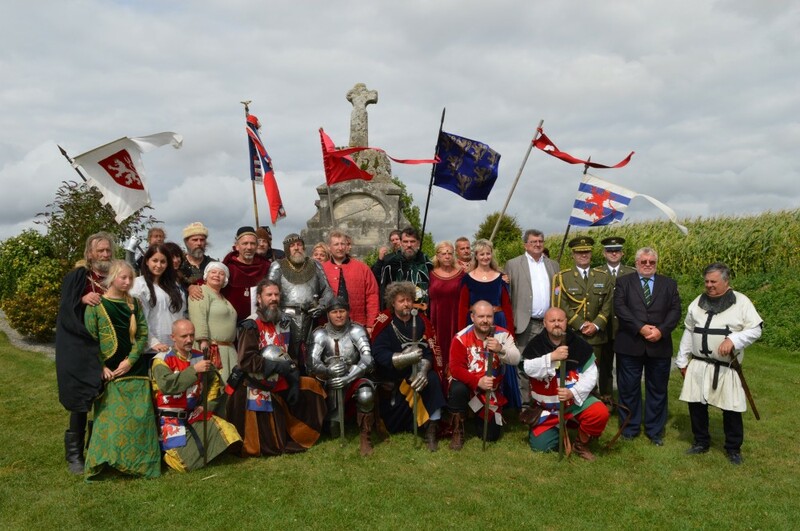 Cllr Matheson and the Clerk were very pleased that they had been a part of the ceremony and reconfirm the links between the two towns. 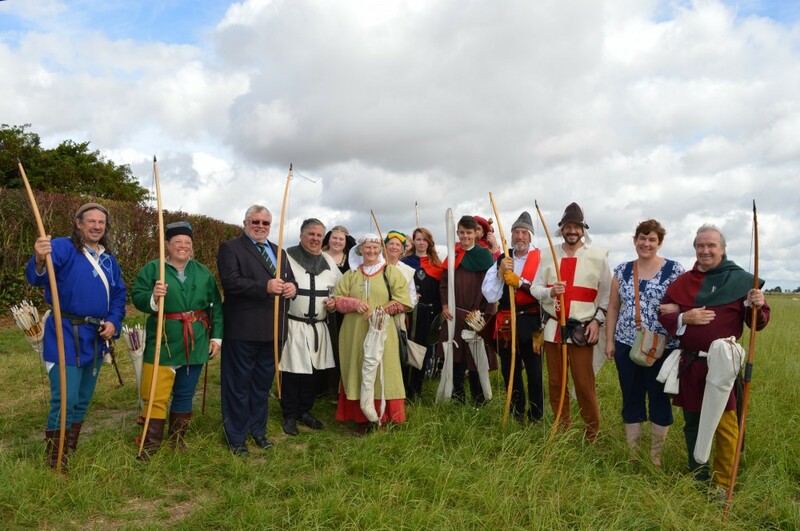 It is hoped that a group from Crecy will attend the Beating of the Bounds in 2017 and the Community Council is still keen to encourage links between groups in the two towns.